A recent visit to Bihar leaves the author wondering about the Indian state’s lopsided progress. A visit to the eastern Indian state of Bihar is not only a trip down memory lane (for your correspondent, at least), but a journey back in time. It’s like living in a time long-past. A week’s stay leaves one to consider Bihar’s future. Is much-touted economic growth confined only to good roads and telecom density, or does it have real significance for the lives of local people? 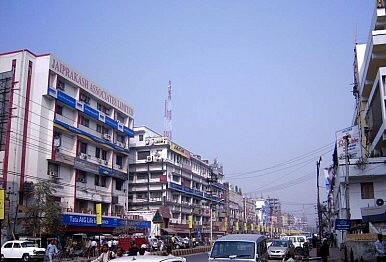 Ninety kilometers east of the state capital Patna is a city called Mokama, which has a population of around 100,000. This is a predominantly agricultural area with few small industries, all established at least five decades ago. Around two decades ago, when I was in school here, Mokama was a sleepy town with poor infrastructure in terms of roads and connectivity, but boasting some fine schools and hospitals. Accessibility to Mokama has improved in the last few years, the market now offers modern consumer goods and mobile connectivity has vastly improved communication in the area, which acts as an important junction between east and west Bihar. The improved road infrastructure surrounding the area has increased the mobility of the local population. This improvement has come about in the last decade, since Nitish Kumar became Chief Minister of Bihar. The state has been the top performer among its peers in India in terms of economic growth during the 11th Five Year Plan, which ended on March 31, 2012. But this is misleading, something that becomes evident when you actually visit the state and locales like Mokama. No doubt better roads and good communications networks are a sign of progress, but what about basic needs like education, health and electricity? During my recent stay, I learned that Mokama has electricity for only six or seven hours a day. The majority of households rely on a battery-operated inverter. But even this alternative fails them most of the time, because the battery is not properly charged in the absence of a reliable electricity supply. It took me back to when I was growing up in the town more than 20 years ago. A kerosene-operated lantern was the major source of light at home in the evening. And this remains true today, not only in Mokama but in a majority of Bihar. Nor has there been any improvement in the education sector. Some of the good institutions in Mokama, like R K R V High School, once justly renowned for educating the most talented local children, is in a state of decrepitude. The school’s infrastructure is shoddy and teachers join their students in truancy. Again, similar stories can be told in other parts of Bihar. Teachers have taken to the streets to protest poor salaries and the lack of infrastructure for Bihar schools. All centers of higher education in the state are in decline. As a result, the majority of the students go outside the state to pursue an education. A similar story exists in the health sector. Except for one medical center, there is no hospital for Mokama’s 100,000 people. The Nazareth Hospital, a private hospital run by a Christian missionary for more than six decades, closed recently due to financial difficulties and a lack of funds from the government. Mokama is a microcosm of Bihar. Poor basic infrastructure has kept this eastern Indian state from achieving real progress. Its human resources are being wasted. The aspirations of the new generation are going unrealized for want of proper planning and infrastructure. Recently, Kumar held a rally in Delhi calling for special status for the state, which would ensure more money from New Delhi for development. But without proper planning, it is questionable whether money alone can overcome decades of backwardness. A Machiavellian move in Bihari politics has jolted India into reckoning with the BJP's true political power.